Fresh Start Carpet Cleaning should be your choice to beautify your home for the holiday season. We use truck mounted carpet machines that deep clean your carpet with steam. We specialize in pet odor removal treatments, pet stain removal and Scotch Guard applications. Our deep cleaning process removes dirt, germs , bacteria, feces, urine and odor from carpets leaving them fresh to the touch. Our drying time is usually between 3-5 hours. Fresh Start has been serving the South Jersey and Philadelphia areas for over 19 years. We’re a family owned and Veteran owned company. 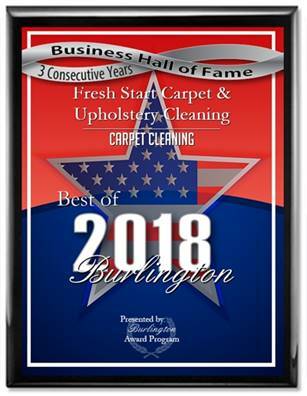 Fresh Start is also a 5 star award winning carpet and upholstery cleaning company for the last 3 years. Our prices are some of the most reasonable on the market we have packages for every budget.